Facebook Audience Targeting may sound like a highly technical social marketing skill – because it can be. However, it can also be the key to unlocking your social media success. Every time your ad gets shown to someone in another state or someone who has little-to-no knowledge of physical wellness your money is being wasted. Stop wasting money! It may seem foreign at first, but if you start correctly future upkeep will be minimal. Plus, we’re here to help! Bonus: Check out the video at the bottom for a visual walk-through! There are several ways your patient list can help you advertise on Facebook. Before they can help you, though, you’ll need to upload your list in Business Manager under Audiences. Once you’ve added your patient list, you can easily connect with them when promoting seminars, referral specials, or your digital newsletter. This, like your newsletters and email, is a way to build loyalty and referrals. • Create a Lookalike Audience to find new patients (details below). • Learn about your overall demographics and patient interests via Audience Insights. If you want to start strong with targeting, upload your patient list! Installing the Facebook Pixel on your website allows you to retarget people who have visited your website. This increases engagement by ensuring the audience has expressed interest in your services. Also, new patients are more likely to convert after 3-7 site visits than they are on the first. Lastly, when we nurture prospects through several touch points, they will be more ready to complete their care once they get in the door (think trust building). To start, install your Facebook pixel. Next, go to the Audiences tab and click Create Audience > Custom Audience > then select Website Traffic. Facebook will check your pixel and target people who have visited your page. Finally, name the audience and you will be able to select it while creating ads. This is a great tool, but don’t forget to create new content for this audience as they may have already seen other ads. Free consultations are a great offer for someone who is showing interest by visiting your page. Not sure your website can attract and retarget visitors? See what tools every PT website should have. This one is straightforward. While creating an ad, in the audience section there is a “Connections” option at the bottom. Select “People who like my page” and then enter your practice’s page in the field. You don’t want to select this option while also targeting via another method as it will narrow the Facebook audience too far. Instead, create your ad, then duplicate it and choose this audience to keep them separate. Before using this audience, try to understand if the people who like your page are primarily past customers or have not converted yet. If it is mostly past patients, make sure the content you deliver to them is geared towards reactivation or general Facebook engagement. Prospects are targeted groups that may or may not know who you are, but are likely to benefit from your offer. On Facebook, we do this through audience targeting. You can target people based on age, gender, income, location, as well as job titles, interests, and even things like what kind of stores they shop at. The options are endless. Here’s what Facebook says about it. Because your goal is to drive visits to your location, make sure the targeting is set your zip code or the couple closest to you. This will ensure people who see your ad could potentially be profitable to your business. Targeting locally also typically reduces ad costs and increases click-through rates. After choosing location, select age ranges and interests. If your ad discusses sports injuries, you might target ages 20-40 with an interest in sports. If you’re not sure what prospects are interested in, use the Facebook Audience Insight tool discussed above. 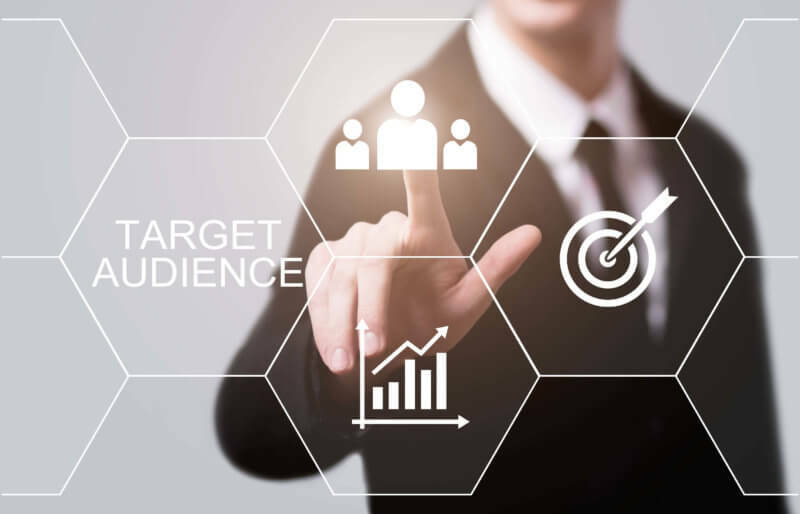 This awesome tool will show you demographic and behavioral information on your current customers and can give you ideas to include in targeting. BONUS TIP: As you are likely creating ads aimed at new patients for this audience, go to the connections section as you create the page and choose “Exclude people who like my page.” This will save you from advertising to somebody twice. Lookalike Audiences – Facebook Finding People For You! Want Facebook to do the targeting for you? First, as above, upload your patient list. Then, under audiences, select your list and create a lookalike. The generated audience will match their characteristics and behaviors. Lastly, select the lookalike audience in your ad, choose your location filter, and you’ll have a good prospect starting point.